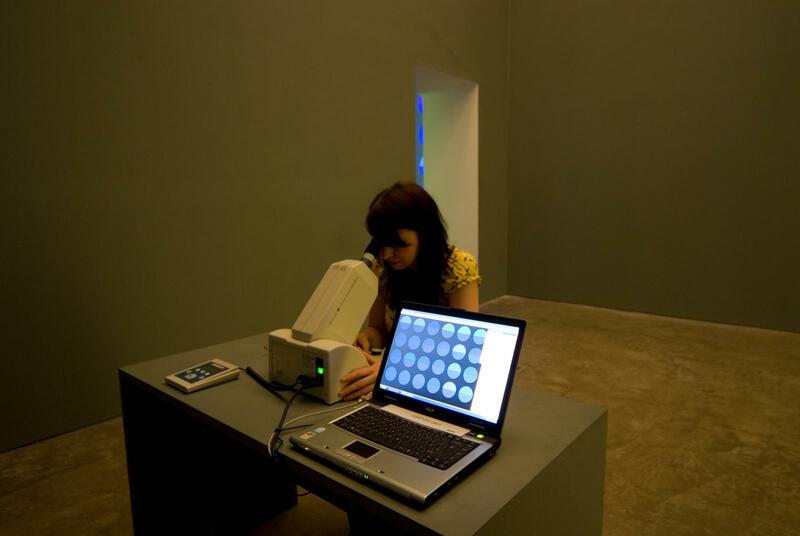 A collaboration with Boris Oicherman, a scientist specialising in the study of colour perception, Your uncertainty of colour matching experiment was envisaged as a laboratory and first installed at Ikon Gallery in Birmingham. In one room, an apparatus was set up with which to record differences in the visitors' perception of colour. Asked to participate in the colour-matching experiment, they had to match one coloured semicircle to another. For instance, two blue halves had to be matched with respect to brightness and hue. 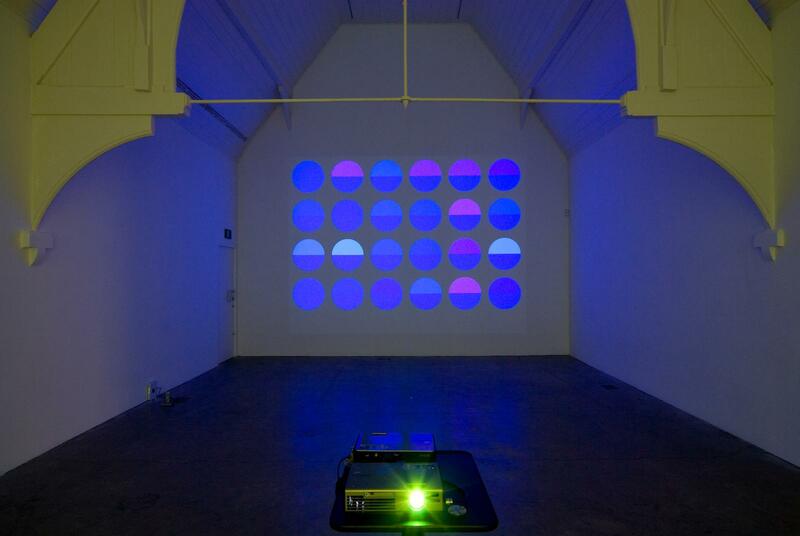 The visual results of each person's colour matching were collected electronically and organised as a gridded projection on a wall in the adjacent gallery space.